Solar energy systems include PV panels and inverters. Traditional string inverters have a number of significant drawbacks. SolarEdge DC optimized inverters overcome these traditional concerns to offer more energy, better maintenance, and enhanced safety. 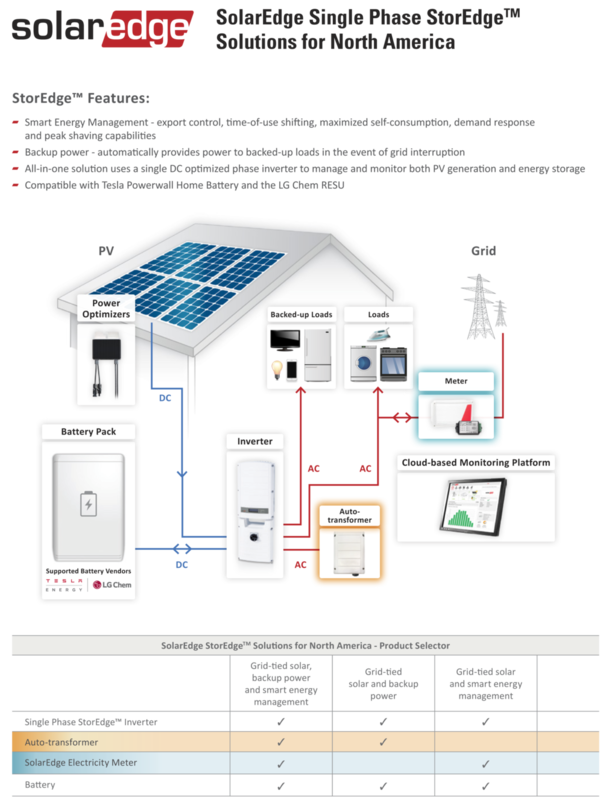 SolarEdge’s StorEdge™ storage solution automatically provides homeowners with backup power in case of grid interruption, and allows home owners to maximize self-consumption and to enable energy independence. The SolarEdge StoreEdge™ solution is compatible with the LG Chem RESU 10H battery.